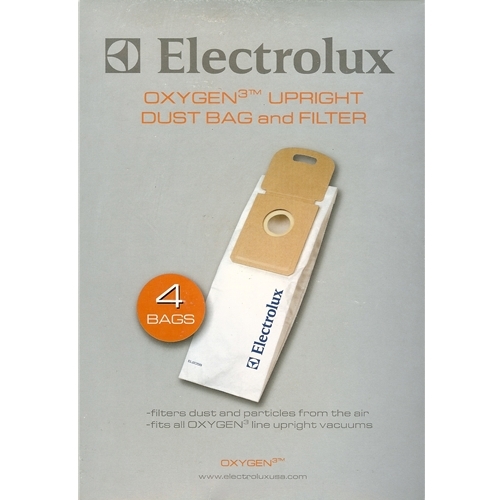 These Oxygen 3 Upright Vacuum Bags capture ultra-fine particles for cleaner indoor air, leaving you free to think about other things than air quality. This package also comes packed with a motor filter for added convenience. 4 bags and 1 motor filter per package.